Join us on Sunday, October 28th at Do Good Co., for a fun brunch! 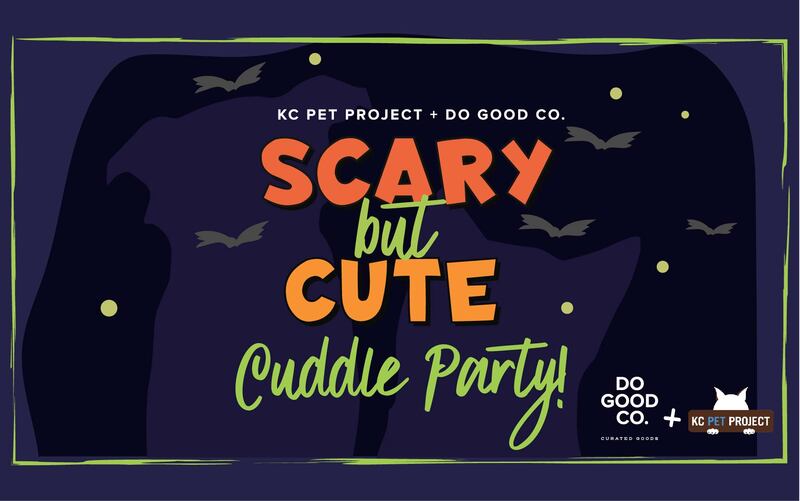 From 11am-1pm enjoy bottomless mimosas, small bites, and ALL the spooky snuggles with the cutest puppies and kittens. Tickets are $40. All proceeds benefit KC Pet Project.